Cool! 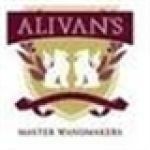 Save an average of 20% on Alivan's with 17 Coupon Codes, and 6 Deals! Details: 10% off all orders through 11/22/10. spend $30 and get a free gryffindor poa house scarf. Details: Spend $30 and get a free Gryffindor POA House scarf. Details: Order magical products from Alivans, receive a free copy of MuggleNets book "What Will Happen in Harry Potter 7"
Details: Get Free Shipping on Every Orders of $20 or more. Valid for Shipments within U.S.